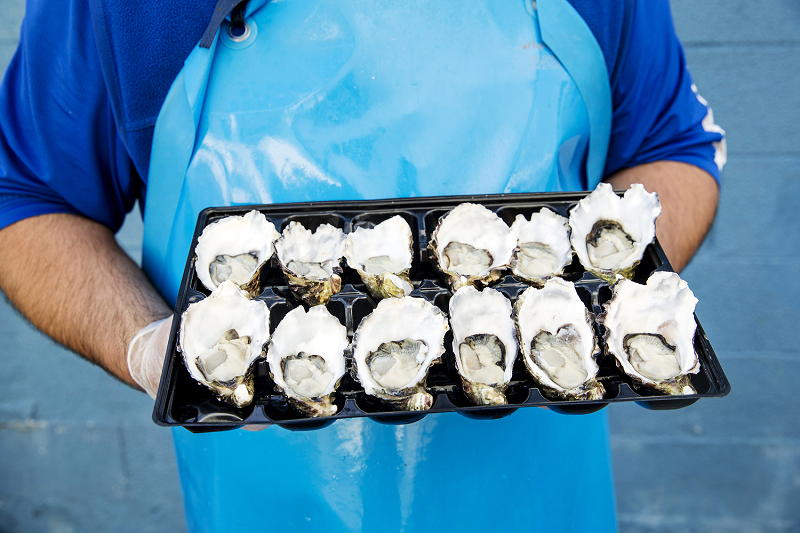 Learn how to get the best out of Sydney Fish Market by attending our new Brunch Tour. Our expert guide will help you navigate the market to seek out the best value, finest quality seafood including some of the more unusual species you may not have seen before! You’ll learn how to choose the best seafood available, where it comes from, and how to cook it. You’ll also get an opportunity to see the auction floor (outside of working hours) and learn how the Dutch auction system facilitates Sydney’s seafood supply. Experience the authenticity of a working market by seeing expert filleters and oyster shuckers at work. If you’re lucky, you may even get a photo with an enormous king crab or meet a local fisherman. Feeling hungry yet? Our guide will then help you choose everything you need for one of the finest meals in Sydney - brunch at Sydney Fish Market! Prawns, oysters, crabs, whole fish, sashimi, sea urchin roe, scampi, raw or cooked to order - we've got it covered. This is a small, personalised experience with a maximum of six guests, so please make sure you book early to secure your place. Please note, food is as per your selection and at additional cost. Tour duration: 1 hour (followed by brunch at your leisure).